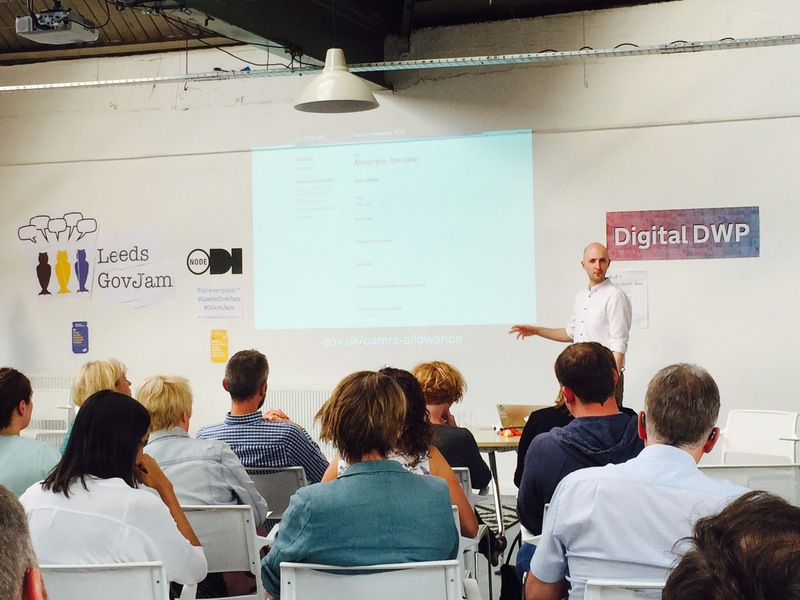 This week Digital DWP is sponsoring Leeds GovJam 2015. GovJam is a global event. It’s for anyone and everyone with an interest in public services and making them better. We think this event is a good fit for us. I love the idea of hack events like GovJam. They let everyone join in. They teach people that anyone can be a designer. 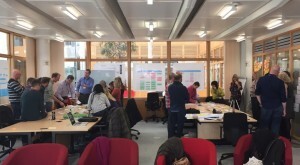 Not only do they encourage close collaboration, they challenge people to get out the building and to get involved. The thing I’ve been most impressed with since joining the Department for Work and Pensions is the Digital Academy. More than 200 of our staff have now graduated from the Academy. They’re learning about user-centred design, Agile delivery, and most importantly they’re joining in. When people graduate from the Academy they get to learn by doing. They work on real products and services. This isn’t always about individual job roles or skills. 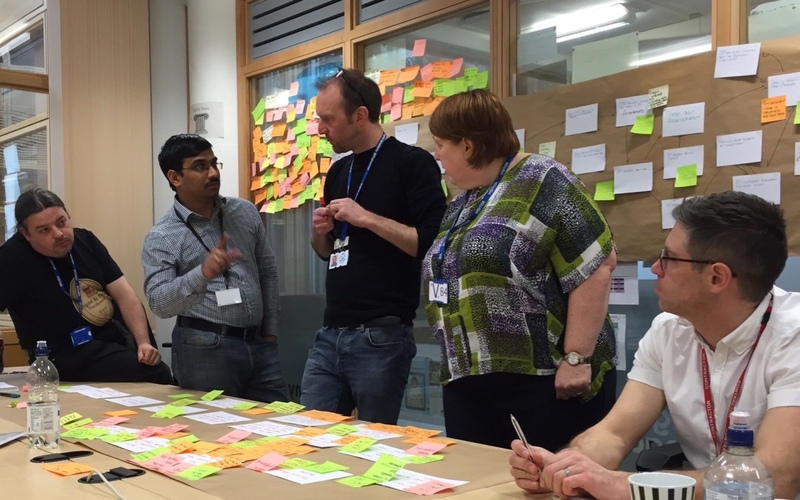 It’s about working together to understand a problem and deliver better services. In DWP, we’re all now part of this business transformation. To make this happen we need to encourage more people in our organisation to put users first. I believe that anyone already thinking about user-centred design needs to be encouraged. We need to get hold of this potential. It’s not something you can manage, but you can give people the freedom and room to grow. Digital delivery is more than a numbers game. We need to invest in everyone who has the potential to think differently. Anyone who’s willing try and put users first. To go see a problem for themselves and to work hard to make things work better. It defeats the opportunity of the Academy to put blockers in the way of people continuing to learn and grow without doing real work. We will make mistakes and we’ll sometimes lack the experience we need. But learning by doing means that this is okay. As I wrote last week, we’re all a little bit scared of getting out of the building and talking to end-users of our services. We need to be brave. Time and resources will get stretched. Finding experienced people to mentor and support people is difficult. 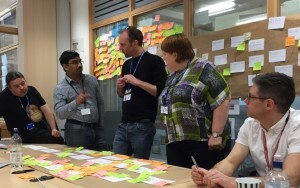 But as Tom Loosemoore from the Government Digital Service told us last year at our DWP Sprint event: “Transformation. It’s not complicated. It’s just hard.”. What’s not complicated is we start by putting users first. Not only am I looking forward to seeing what happens this week at GovJam, more so I’m excited to see just where we will be in 12 months’ time. The global event is run entirely by volunteers with a staff of none and a budget of practically nothing, so we are grateful for support like yours.